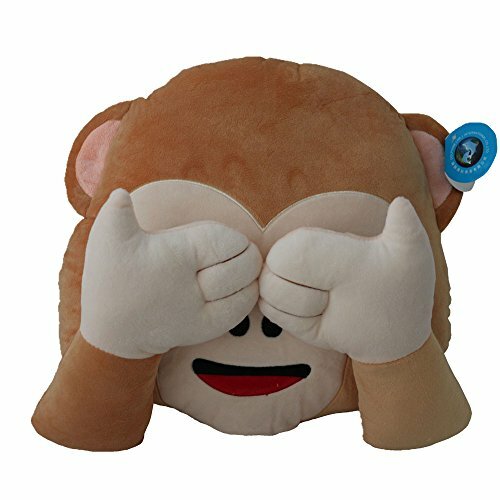 Emoji monkeys could possibly be the cutest emoji out there, so why not cuddle up with a soft plush monkey emoji pillow?! Material: Poly Propylene (PP), Size: 32cm(Dia.) x 10cm(Thickness), as a head pillow or a lap pillow. *Notice: When you tear the Poly bagging, pillow will become very full. Your kids and/or your friend will love this! Decorative and fashion for house in daily life. Perfect GIFT for your friends and your kids and everyone you love! Dolphineshow is Registered Trademark ,Serial number:86788459.Make sure you buy from Dolphineshow.If you purchase here and receive products from other sellers ,please help us report to Amazon Service for Copyright Infringement of Dolphineshow brand products. 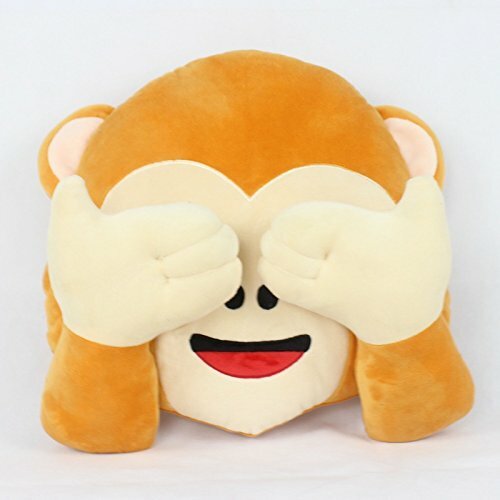 Size: 13 inch * 13 inch(33cm*33cm). 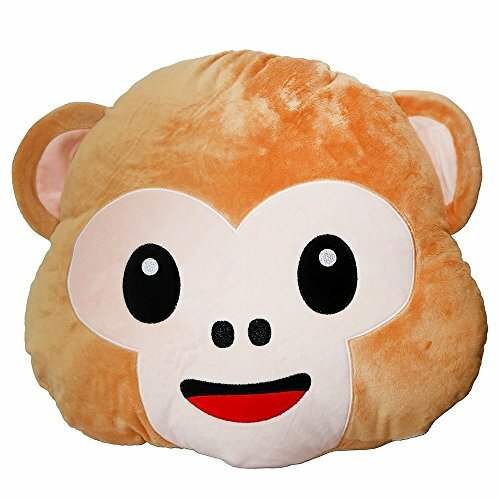 Funny monkey facial Emoji round pillow, makes you want laugh ever since you see those adorable pillow cushions toys, kids love it, everybody loves it. 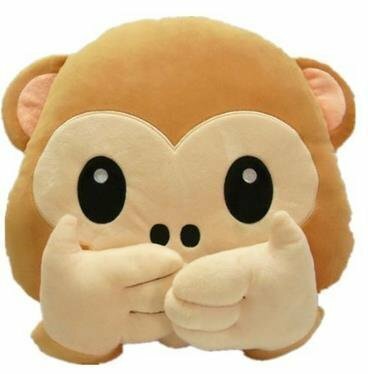 100% short plush made, stuffed with high quality PP cotton, super soft, good touch feeling,easy to take care of and no fading, lint-free and always keep in shape. Safe for kids playing. 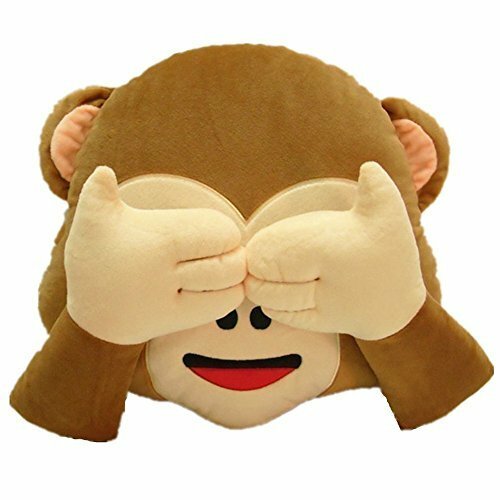 Funny no listen, no speak, no see, smile face expressions, meet your very personality. 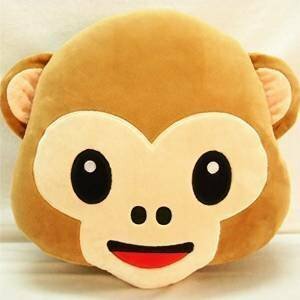 Kids Play Plush Pillow cushion. 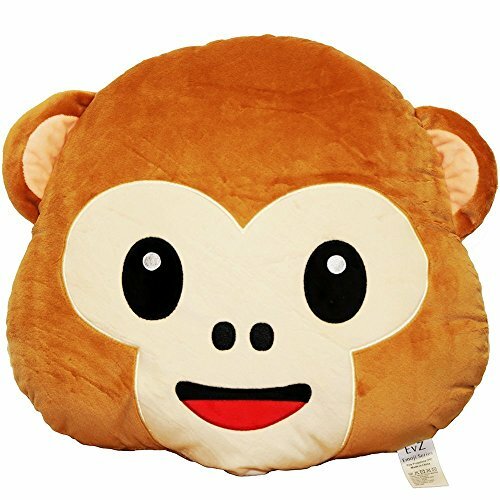 Also great for in-bed reading and TV watching; Use as bolster ,sofa-cushion ,back and head pillow.excellent companions for long trips or vacations and always provide kids with a cuddly buddy and a comfortable place to lay their head. Making nap time relaxing and fun for your kids. Bring your kids the joy, comfort and friendship. 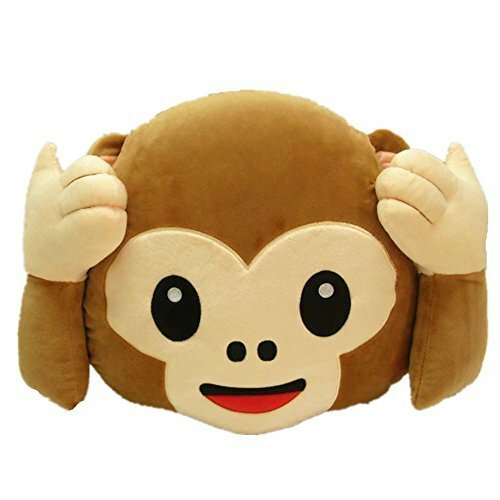 Best choice of children/kids, girlfriend gifts, birthday gifts and holiday gifts! Next articleCAPTION CONTEST! WIN a Monkey Pickles Shirt!